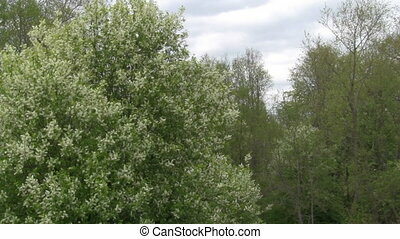 Flowering bird cherry against on the background of the river during rain. 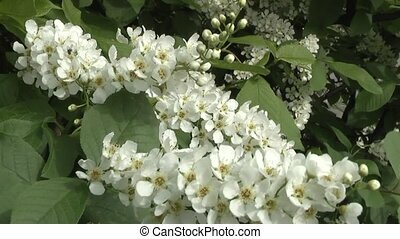 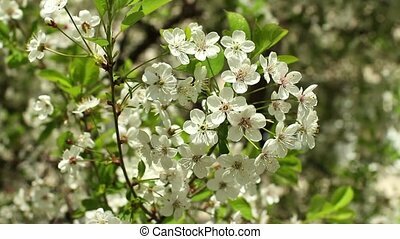 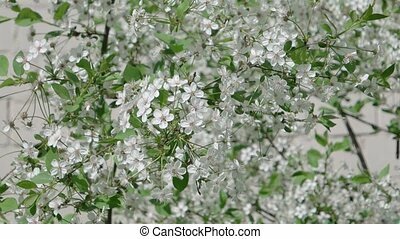 Flowering bird cherry in a rocky gorge. 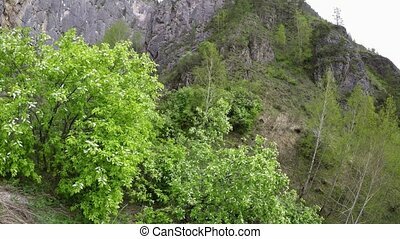 Altai Mountains, Siberia, Russia. 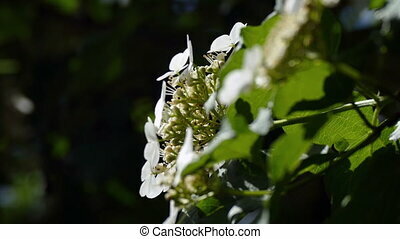 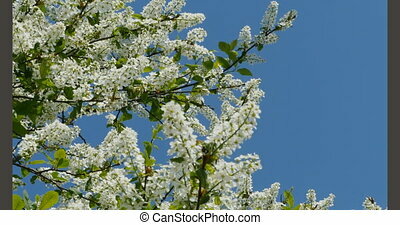 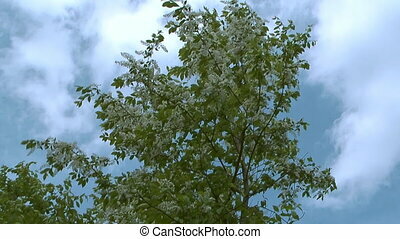 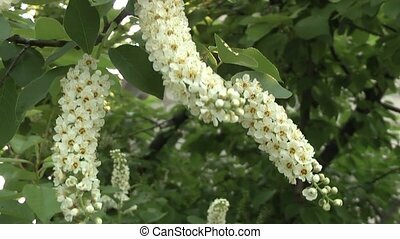 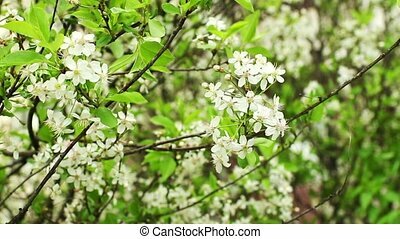 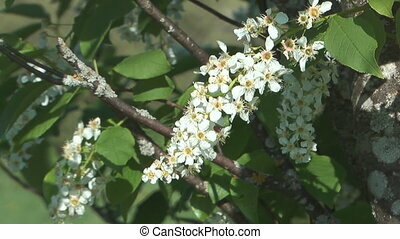 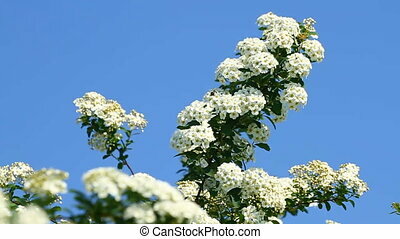 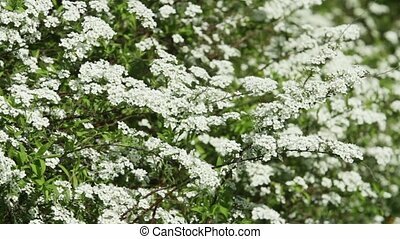 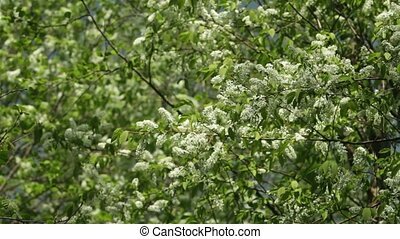 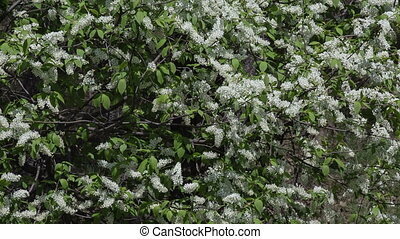 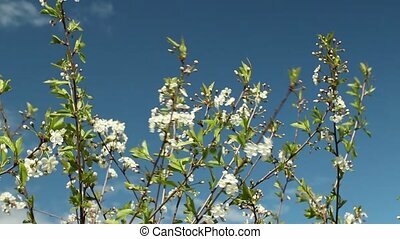 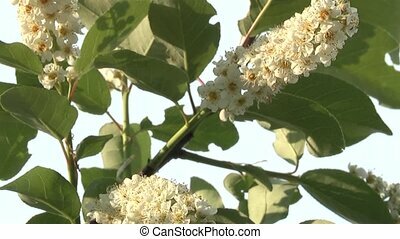 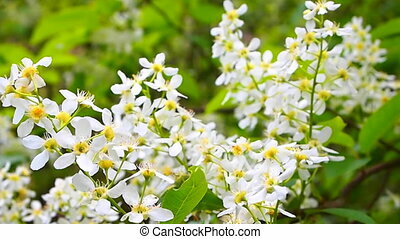 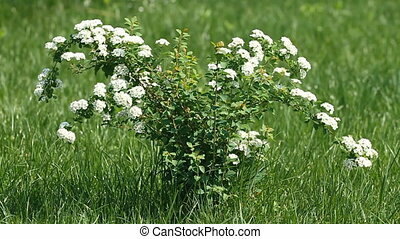 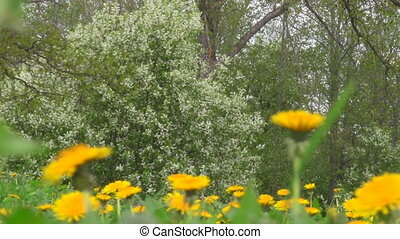 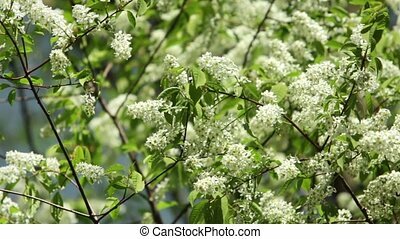 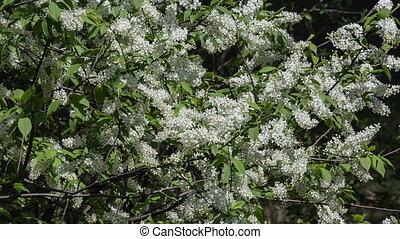 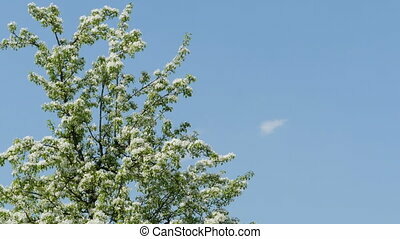 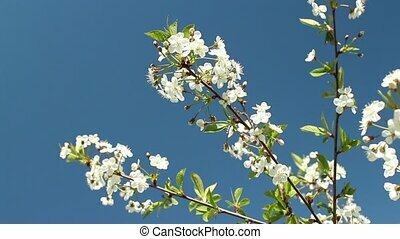 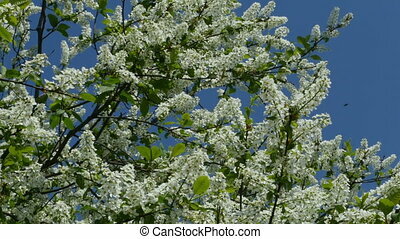 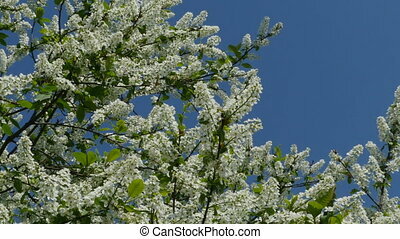 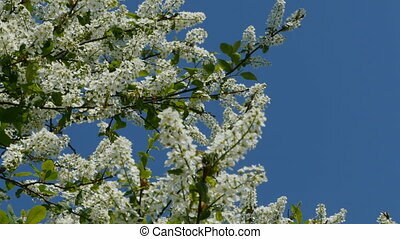 Bush of a blossoming bird cherry. 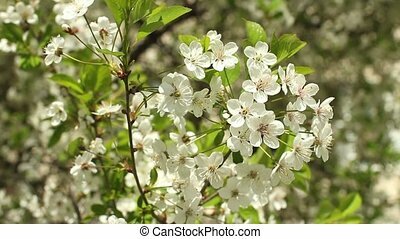 cherry tree in spring in the garden.